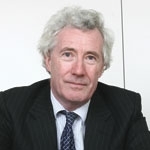 ... is at the core of Jonathan Sumption QC’s FA Mann Lecture. His central point is not human rights as such, but our misconception of Parliament and the perceived need for judicial constraints on the action of the state. So the real reason for the rapid development of judicial review since the sixties seems, in Sumption’s view, not to have been the growing power of the executive, but the declining public reputation of Parliament and a diminishing respect for the political process generally. ….I cannot be the only person who feels uncomfortable about the implicit suggestion that it is the function of the judiciary to correct the outcome of general elections. And indeed he is not the only person: Lord Hoffmann and Laws LJ are very much on a footing with Sumption here. The growing tendency of judges to intervene in what Laws LJ referred in R(Begbie) v Dept of Education  as “macro-policy” has become more pronounced. The principle that “fundamental rights” cannot be overridden by general or ambiguous legislation, without explicit provision being made for this result, is a principle of judicial review that has been applied for decades. Sumption has no quarrel with this. But it does beg a very big question – precisely what are these rights that are so fundamental that no power can derogate from them? there has been a noticeable tendency for the range of fundamental rights and principles to expand over the years, so as to embrace some which seem a good deal less than fundamental. It has been held, for example, to include the right to fish in tidal waters, the right of political pressure groups to advertise on radio or television, and the right of litigants in person in receipt of income support to bring legal proceedings without paying court fees. Many of the decisions of the courts in this area have edged towards a concept of fundamental law trumping even Parliamentary legislation. In substance what the Divisional Court decided was that this particular development grant was not a good idea. They therefore interpreted the statute as limiting the power to grant development aid to projects that were a good idea. Who was to decide what was a good idea? Naturally, the Court itself. The practical effect was to transfer to the court the discretionary powers of the Secretary of State on a matter of policy and the task of assessing the project’s merits. The Pergau Dam case was an early example of the courts’ tendency to justify their political preferences by washing them in the waters of principle. Not that it hadn’t happened before, it was just a matter of the public being so acclimatised we didn’t notice then, and we don’t notice now. … has treated the Convention not just as a safeguard against arbitrary and despotic exercises of state power but as a template for most aspects of human life. These include many matters which are governed by no compelling moral considerations one way or the other. The problem about this is that the application of a common legal standard works breaks down when it is sought to apply it to all collective activity or political and administrative decision-making. The consensus necessary to support it at this level of detail simply does not exist. one of the great unspoken problems about human rights law, which is that very many human rights issues are in reality not issues between the state and its citizens. They are issues between different groups of citizens, whose resolution by democratic processes will not necessarily lead to the same answer everywhere. Joshua Rozenberg suggests that Sumption demonstrates “a certain naivety”: Parliamentary scrutiny is certainly not enough to ensure that statues are properly drafted, internally consistent and fair in their application. But this is not what Sumption is saying. He is querying our assumption, which has been allowed to go unexamined for too long, that judicial intervention is an adequate and indeed the only appropriate response to (admittedly imperfect) parliamentary processes. This assumption rests, not on some unenlightened faith in individual judges, but on the misguided belief that as justice unfolds, it is neutral between competing moralities or visions of the good. To admit that rights cannot be defined independently of variables in society’s values, or that rules are general in the sense of not being hostage to a particular and contestable point of view, opens up a black hole that it seems is too hard for us to contemplate. We need to be alerted to the fact that justice – law, judges, the judicial process – is contaminated by the very value judgments it supposedly brackets. This Jonathan Sumption does, and the fact that he does so against his apparent self interest as newest recruit to the Supreme Court renders his words ever more authoritative. We need to face up to what is happening. Judicial reticence is typical of English law, which shies away from grand statements of principle, preferring instead an attitude of pragmatism. But Sumption’s conclusion is that this has unfortunate consequences. It has meant that over a period of time judicial decisions have brought about significant constitutional changes, which were not necessarily noticed or intended by their authors. It has also meant that the wider constitutional issues arising from judicial decisions, because they are not publicly acknowledged, are not matters of public debate. There is surely a case for saying that constitutional change, where it occurs, should happen on purpose and after proper national debate about its wider implications. It should not come about by accident and without any acknowledgment that it is happening at all. Mr Sumption seemed to take a considerable time to get to say that judicial review must be curtailed. For Sumption, judicial deference must extend beyond traditionally recognised “non-justiciable” areas to the whole range of government activity. The Begbie principle with clogs on. Furthermore, to suggest that Parliamentary scrutiny over policy is adequate is a comment very much at variance with reality even though, to be fair to Sumption, scrutiny has improved in recent years particularly via the committee structure. and that suggestion is implicit in what exactly??? STRAWMAN! shame that such a celebrated member of the bar comes up with such a transparent argument. Exactly where does he say that? What other “appalling and inhuman assumptions” has he made? To stop fee remission would mean that justice would only be available for those who can pay the growing costs of Court fees. Re. the use of Stanley Fish’s maxim: “When principle enters the picture and takes it over, no on is able to talk about what really is on his mind.” are you implying that prejudice and emotion are more important than dispassionate rationality? Imagine a scientist making that claim. Of course, the judiciary is not purely objective. However, the government is, whether you like it or not, greatly sponsored by business through donations, various taxation, government loans and so on. The government cannot operate in its current guise without the support of business. Therefore, structurally, this creates the potential, through pragmatism, for government to favour business over citizens and justice. Therefore, though the judiciary may be not directly democratic, certainly have their own prejudices and agendas – they do at least represent a counter-weight agaisnt the corporate government. The “individual justice” approach of the judiciary that is being questioned is surely one way that the average person’s standing and importance in society can be raised to equal that of a multi-million pound corporation? There are undoubtedly problems with the concept of human rights. However, if anyone is misconceiving the nature of Parliament, it is those who presume that government is highly democratic and independent. Such persons should follow the News Corp story more closely, for here is the classic case of government merging with big business and leaving justice in the gutter. So the government whines about judges “interfering” with state oppression and suppression and then a few weeks later Sumption is appointed and starts this wittering. What a co-incidence. I think of him as Michael Pinto-Duschinsky in a wig. Mr Sumption makes too many assumptions. He is Hitler’s and Stalin’s Dream Judge. May we the British People be saved from Mr Sumptions appalling and inhuman assumptions. The law itself was created by the Temple to protect the individual from the power of the executive. He also seems to believe that poor people should not be able to bring or defend civil actions because they can’t afford the protection of the Law. Well that says it all!